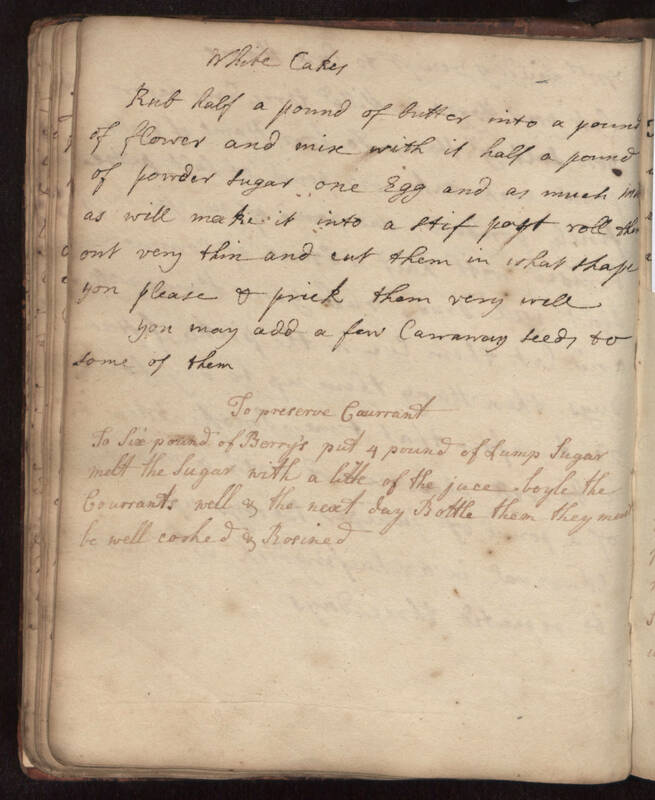 White Cakes Rub half a pound of butter into a pound of flower and mix with it half a pound of powder sugar one egg and as much [illegible] as will make it into a stif past roll them out very thin and cut them in what shape you please & prick them very well. You may add a few carraway seeds to some of them. To preserve courrants To six pound of berry's put 4 pound of lump sugar melt the sugar with a little of the juce boyle the courrants well & the next day bottle them they must be well casked & rosined.